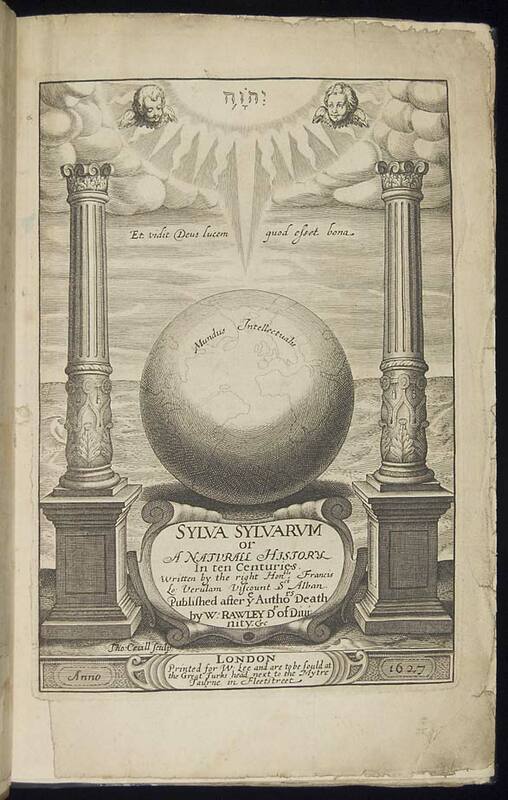 One of the main goals of our project is to translate Francis Bacon’s Sylva Sylvarum into Romanian for the first time. We aim to produce a scholarly translation complete with introduction and commentary, index and cross references to other Bacon’s works. The resulting volume will be published in 2017 at Editura Humanitas. Sylva Sylvarum is a challenging and fascinating work. If one wants to describe it in modern terms, perhaps the best description would be to say that it is a collection of “hands-on experimentation”. But it is not yet experimental physics. Bacon’s experiments span a large territory. They deal with chemical processes, quasi-miraculous transformations, “perceptive instruments,” spectacular devices, new medicines, marvelous cures. Some are coming directly from the natural magic tradition. Others are clever devices intended to illustrate Bacon’s vitalist and appetitive matter theory. Some are “experiments of light.” Others, “experiments of fruit”. And they are cleverly put together in a collection which made experimentation look like a fascinating enterprise. Translating Sylva is a difficult taks, combining historical and philosophical investigations. We have learned a lot in the past six years. Sometimes, our philosophical, historical and philological investigations lead to new projects and important discoveries. You can see some of our results here. The exercise of translation itself has led us to a much better understanding of Bacon’s vocabulary (especially his numerous “technical terms”). It has also led us to a better understanding of the intricate and multi-disciplinary intellectual context from which Sylva Sylvarum emerged. You can get a taste of what the final translation will look like by reading some samples of it below. – experiments concerning percolation (century I). This is how Sylva begins, with a series of experiments where mixtures are separated through straining, filtering and other such methods; experiments extend from producing fresh water (from salty water) to separating mixtures of liquids (such as water and wine) and the „clarification” of liquors. There are several methodological aspects of interest in these series of experiments. They regard both the experimental methodology (of variation and extension) and the clear attempt to formulate operational definitions for a number of terms (such as percolation, inner and external filtering etc. -experiments concerning separation by weight (century I). This is a string of experiments dealing with a procedure of separation „borrowed” from Giovan Battista Della Porta’s Magia naturalis. A comparison of the two “technologies of separation” can give the reader a hint of Bacon’s methodology at work. – experiments about music (century II). Bacon’s interests in the production, transmission and multiplication of sounds cover the middle ground between the old, traditional (mixed-mathematical) science of music and the new science of acoustics. They are intriguing, sometimes intensely weird, and definitely worthy of further investigation (Century II and III are amongst the least investigated parts of Francis Bacon’s Sylva Sylvarum). – experiments touching the motion of sounds (century III). Some parts of this investigation look strikingly (and deceptively) modern. Bacon imagines experiments to determine the speed of sound (by comparison with the speed of light); and other experiments, to detect the spherical propagation of sounds (and the borders of their “orbs of virtue”). – experiments touching transmutation (and the production of gold) (century IV). This is, of course, one of Bacon’s most spectacular string of observations and experiments, because it raises the (still unanswered) question of Bacon’s relation with alchemy. Can the experimenter replicate the natural process through which gold is made? Under what conditions? – experiment touching the wood shining in the dark (century IV). This series of observations had a spectacular aftermath during the first years of the Royal Society. Maybe because they really constitute a nice string of hands-on experimentation, something that any reader can try for herself (and it is not even dangerous!). – experiments touching maturation (of fruit) (century IV). These experiments show Bacon at work with books of recipes and books of secrets, reading not only Giovan Battista Della Porta but also Pliny and some books in the tradition of husbandry (Collumela, Varo, Palladius). They raise interesting questions regarding reading, commonplacing, recording and performing some of the traditional recipes for preservation and “maturation” of fruit. – experiments touching the sympathies and antipathies of plants (century V). This series of experiments is illustrative of the ways in which Bacon attempted to naturalize the tradition of natural magic. Although mostly taken from Pliny and Della Porta, experiments are explained differently, and usually sympathies are redefined and “reduced” to other kinds of explanations. – experiments touching curiosities about fruits and plants (century VI). The opening of Century VI is likely to raise some eyebrows: an author who repeatedly confessed that he hates curiosities and the fabulous stories of traditional natural history felt compelled to register some curiosities of his own. Why? What is the point of these “curiosities”? Are they really so “curious”? – experiments concerning the affinities and differences between plants and inanimate bodies (century VII) For Bacon, all differences in the natural world are differences of degrees, and not difference of kind. Inanimate and animate bodies differ only through the way their spirit are disposed and organized within tangible matter. Plants and animals are extremely similar; the only difference between them is, again, one in the organization of spirits. 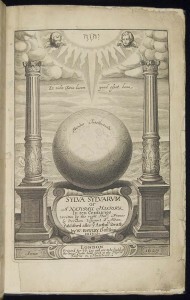 The project of a scholarly edition of Bacon’s Sylva is a very challenging research task. First, there is no modern scholarly edition of this book in any language. The Oxford Francis Bacon edition of Sylva Sylvarum is currently at the stage of the work in progress. We intend to collaborate with the British editorial team and benefit from their experience. It is important to emphasize that current research in Baconian studies has brought Sylva Sylvarum to the fore, after centuries of neglect. Second, translating Sylva Sylvarum is an essentially collaborative work. One needs expertise in extremely diverse fields: natural philosophy, alchemy, matter theories, meteorology, sixteenth century Aristotelianism, natural history, cosmography, travel, astronomy, music, natural magic etc. Our team has benefited from working together with colleagues and friends specialized in some of the subjects above. A number of seminars, workshops and colloquia were devoted partly or integrally to this work. Our team has built on the experience gained through participation in such events. An example of this is Francis Bacon on Natural History and Natural Magic: The Mystery of Sylva Sylvarum, a two-week seminar that took place at Princeton University in May, 2012, where Dana Jalobeanu, Laura Georgescu and Doina-Cristina Rusu presented papers, participated in the discussions and coordinated reading groups. Another example are the seminars organized in Paris (December 2014, Finding a pathe through the woods: analyzing Francis Bacon’s Sylva Sylvarum) and Berlin (March 2015). Further discussions on Bacon’s sources and techniques were discussed in workshops and international conferences, and will figure prominently in the closing conference of our project From natural history to science (7th Bucharest Colloquium in Early Modern Science), 24-26 October 2016. General background questions : see also our general Sylva Sylvarum page for an extended presentation of both the work and our guiding research questions. The problem of sources: As all Bacon’s natural histories, Sylva Sylvarum is build from a storehouse of quotes, stories, recipes and other recirculated materials. But finding the original sources is a notoriously difficult enterprise. You can see some of our questions and findings here. You can also find some preliminary work on how Bacon’s used Pliny, Aristotle, Della Porta and Sandys’ Travels. Handling the sources: Bacon is using his sources in an extremely creative manner, mostly as starting points for experimental investigations of his own. Our team has investigated some of the aspects of Bacon’s commonplacing and using borrowed materials in a series of articles. You can see here some further examples. Connecting experiments : as one of the most important questions about Sylva is whether there is a method in its chaos, we’re constantly attempting to trace lines of continuity between experiments. This post exemplifies the limited success of our attempts. Naturalizing explanations: one of the important features of Sylva Sylvarum is Bacon’s attempt to naturalize the traditional explanations of the natural magic tradition. Some examples here and here. An example with some explanations here. Setting down the extremes: one of Bacon’s methodological principles is to set down the extreme situations, cases or examples for the producing of a certain phenomenon. Sylva offers interesting examples of this principle at work. In many of the “experiments in consort” one can identify the limiting cases, or the “setting down” of the extreme situations. Here is one example. Intermediary cases and intermediary natures: Sylva exemplifies Bacon’s more general interest for intermediary cases and intermediary natures: bodies or creatures situated in-between the received “natural types” and defying traditional classification. Here is one such example. Models and modelling. For Bacon, there is no distinction between natural and artificial phenomena; the latter are often more useful to help us understand the subtlety of nature. They can act as table-top models, simplified versions of the more complex, subtler natural phenomena. Here is such an example: a table-top model of a star. Qualitative and quantitative aspects of Sylva Sylvarum. Problems of measurement. Mersenne’s reception of Bacon: although not dealing primarily with Sylva, this post provides an interesting look at the reception of Bacon’s experimentalism (which is a relevant topic for Sylva as well). On distillation I & II: two posts attempting to shed light on the way Bacon might have used the term “distillation” by looking at the meaning of this term in sixteenth century authors. On spirits and on appetites: a short presentation of Bacon’s matter theory. On Helleborus Niger: a look at one of the purgatives mentioned in Sylva. On measurements: a discussion of measurement in Sylva and the questions it raises. On the transmutation of species: the transmutation of plants and Bacon’s concept of species. While all of the topics from the index above are relevant to some degree to building a scholarly edition of Sylva Sylvarum, some of them are essential for the actual (and frequently tricky) work of transposing Sylva into Romanian. You will find these under the label Glossary. Additionally, for centuries II and III, we also have a page, in Romanian, dealing with definitions and the historical context behind some of Bacon’s terms.